BimmerWorld Racing revealed today an energized roster of sponsors and partners for the 2011 GRAND-AM Continental Tire Sports Car Challenge season. BimmerWorld’s familiar blue, white and yellow colors will continue to dress the team’s two BMW E90 Street Tuner (ST) entries and its two new BMW E92 M3 Grand Sport (GS) cars, but fans will find a revised livery and new sponsors in CRC and Johnstone Supply featured prominently in both classes. GearWrench and Chin Motorsports will also return to support BimmerWorld’s four-car team. CRC Industries, known for its range of popular specialty automotive chemicals, has sponsored BimmerWorld for some time, but as CRC Industries marketing manager Julie Williams explains, CRC’s expanded support of BimmerWorld matches the increased promotional value the team offers with its GRAND-AM racing activities. 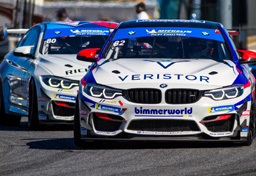 “CRC Industries has sponsored BimmerWorld on a smaller level over the past few years and we are so impressed with the growth and hunger we’ve seen from this team,” she said, “that it was an easy decision to increase our partnership with them for 2011. The timing is perfect, too. As we celebrate the 40th birthday of CRC Brakleen(R), the #1 selling brake parts cleaner in the industry, BimmerWorld will play a pivotal role in conveying our brand message and awareness to the next generation of specialty-chemical users. The familiar CRC logos will be found on all of BimmerWorld’s GRAND-AM cars, with CRC most prominently displayed on the hoods of the No. 80 and 81 BimmerWorld BMW E90 ST entries. Johnstone Supply, through Harold Petit, owner of a chain of Johnstone Supply stores, will be found on the hood of the No. 79 BimmerWorld BMW E92 M3 driven by team owner James Clay and his co-driver, Seth Thomas. With more than 350 stores nationwide supporting the HVACR industry, Petit has partnered with Clay’s team with a specific goal in mind. While CRC Industries is looking to create brand awareness in the sports car community with BimmerWorld, Johnstone Supply is targeting the B2B opportunities that an alliance with BimmerWorld can bring. GearWrench, the maker of precision hand tools and one of BimmerWorld’s most enduring supporters, returns for 2011. The BimmerWorld team found itself in need of lightning-fast fixes throughout the highly competitive 2010 GRAND-AM season, and as Crew Chief Jason Marks explains, having the best tools in the shop, in the paddock and on pit lane is a major advantage when speed and accuracy is required. “GearWrench products are very innovative and somehow thousands and thousands of years since man began using hand tools, GearWrench still seems to engineer truly impressive tool designs that allow us to do our job faster. Having their products behind us with our expanded 2011 car count is very important to our success. Chin Motorsports returns to the BimmerWorld fold for 2011 as well as the two companies continue to expand their relationship. 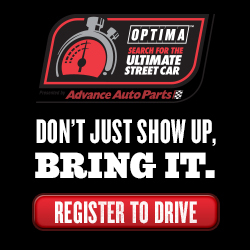 Known for their premier high-performance driving experience (HPDE) events, Chin Motorsports will serve as the primary host to BimmerWorld’s large customer base of HPDE enthusiasts, and as a platform for the high-caliber driver coaching services offered by Clay, Thomas, and David White through their NextLevelDriving.com operation. Fans will get their first live look at BimmerWorld’s new sponsors and livery later this week. Opening practice for Round 1 of the 2011 Continental Tire Sports Car Challenge championship starts on Thursday, January 27th, with the 2.5-hour GRAND-AM 200 race beginning at 1:30 p.m. ET on Friday the 28th. Tune into SPEED on February 5th at 3 p.m. 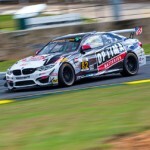 ET to watch the race broadcast, and follow BimmerWorld’s progress at Daytona by visiting www.BimmerWorldRacing.com.